The BCM Mix is here! Change of venue! We will spend the day in Talbot Hall at LMH. Booking closed on 22 September. Do send us your message, if you can't make it. 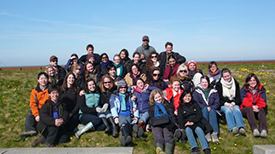 We are celebrating 10 years of the MSc in Biodiversity, Conservation and Management with an all-day reunion event in Oxford on Friday 4 October 2013. 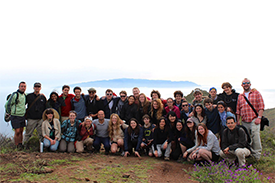 There will be plenty of time for catching up on each other's movements as well as for discussing the current and future issues of conservation, and how BCM and its alumni all over the world can continue to contribute to it. 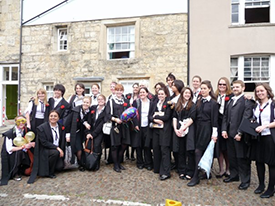 Last but not least, we also want to enjoy being back together in Oxford again, spending time among friends, old and new. We had hoped to be able to welcome you back to the School on South Parks Road, but due to the delayed building works we have got to branch out for the workshop day. 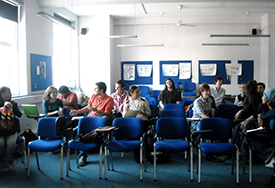 Luckily, we found a very grand room at our dinner venue LMH, so we will spend the day together in Talbot Hall. 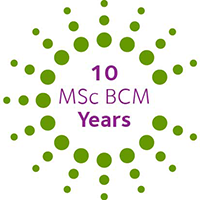 The past and present course and academic directors will share their reflections on 10 years of BCM from genesis to the future! 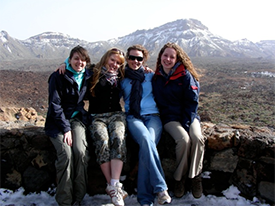 a series of facilitated activities to help you get to know BCMers from different years. Agreeing topics for the afternoon discussions. 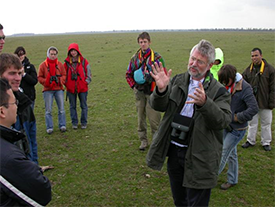 The six course leaders will each chair a discussion on a key theme or concept in contemporary biodiversity science and management. and vote on "BCM's species mascot for 2014"
As Geographers we shouldn't let a 10th anniversary pass without an effort to map our collective engagements over the years in biodiversity research, policy and management. Are you hooked by one particular dot? Would you like to know who has worked there and what the project was he or she worked on? 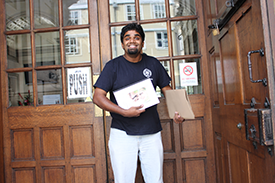 Just post in the Oxford MSc BCM Facebook group and try to find out! 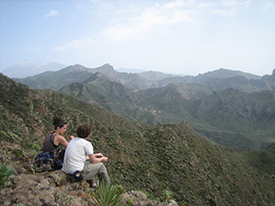 Sounds - whether field recordings, environmental soundscapes, songs or stories - are rich descriptors of the environments in which we live, providing inspiration and information about the natural world. We collected and collated a selection of sounds which have inspired or motivated your outlook, thinking and work on the environment, and Rob St John (Class 2010/11, musician and writer) has edited your submissions together into an online mix hosted on MixCloud, allowing us all to hear, share and discuss the sounds which have shaped and inspired our relationship with the natural world. Do share your thoughts, and claim back "your" tracks using the comment field on the web version! (Just click through via the headline "Sounds of the BCM 10th Anniversary" in the widget below). We would like to take the opportunity of our 10th anniversary to find a species mascot for BCM. This idea was inspired by the popularity of the recent vote for the mascot of the Ugly Animal Preservation Society . We would like you to propose and promote a BCM species mascot on the Facebook page (Panda is vetoed!). 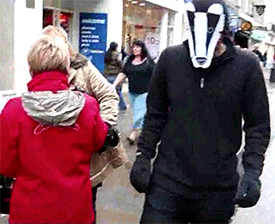 (If you're not on Facebook send it to christine.baro@ouce.ox.ac.uk and she'll post on your behalf). 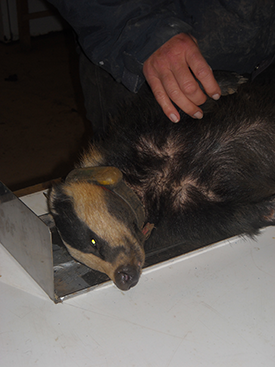 We will identify a candidate list of 4-6 species and nominate someone to champion each of these at the dinner. For expediency only those at the dinner will be allowed to vote, but lobbying is of course allowed and encouraged! 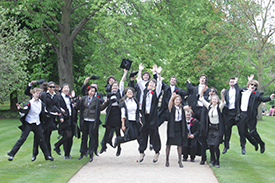 If you can't make it to Oxford on 4 October, there is yet another way (on top of the BCM Atlas and the BCM Mix) how you can be part of the event. 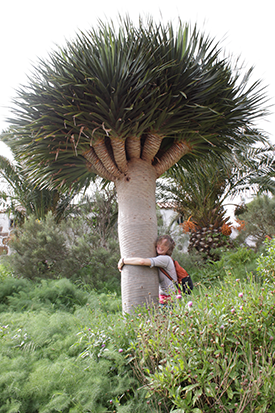 Just write us a "Wish I were here" message using this template and send it to christine.baro@ouce.ox.ac.uk as soon as possible! We will display all messages that reach us before 5pm on the 3rd of October on a big board for everybody to read and enjoy on the day, and will also make it available online! Just let us know and we will include your "project" on this web page. LinkedIn is a great way to explore the BCM alumni community, share CVs and initiate discussions ahead of the event. 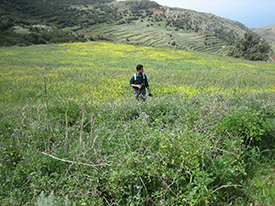 Please join our closed University of Oxford, MSc Biodiversity Conservation and Management Group and help to grow our online network. 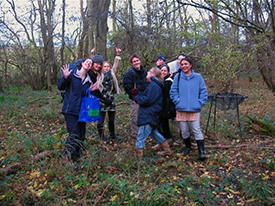 Thanks to Emma Burnett (2009-10) fresh, local, organic produce will feature in the BCM Anniversary Reunion Dinner! A co-founder of Cultivate, a co-operative social enterprise which grows, sells and promotes people-powered food in and around Oxford, this is her way to put her BCM interests into action and help improve the local food-system and community engagement. 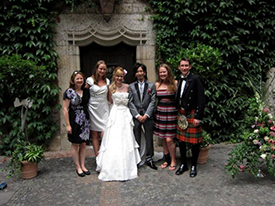 Mareike Dornhege's (2008-09) wedding to Satoshi in Bueckeburg, Germany: Laura Jennings (with her fiance Jamie Preston), Seline Meijer and Ashley Massey. 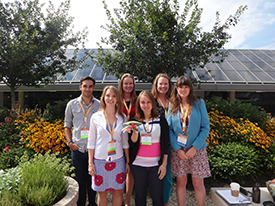 International Congress for Conservation Biology 2013 in Baltimore, Maryland, USA included BCM alums Jared Margulies (2009-10), Emma Shepheard-Walwyn, Seline Meijer, Ashley Massey (2008-09), Amy Hinsley (2007-08) and Meredith Root-Bernstein (2004-05). 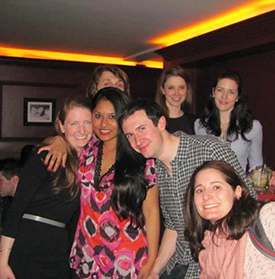 The class of 2010-11 meet for the first time as conservationists (or in related fields!). 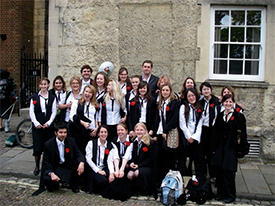 Clockwise from top: Tom Mathews (now DPhil candidate with OUCE); Rose Robson (studying environmental law); Ellie Butcher (ZSL), Phillip Jones (wildlife film making, has worked with BBC Natural History Unit); Sara Hamann (Research Assistant at BT Centre for Major Programme Management, Sa�d Business School); Neha Sinha (working with BirdLife India, Bombay Natural History Society); and Lucy Erickson (Alumni Relations at Oxford's Chemistry Department). 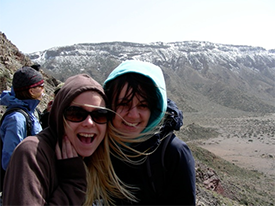 Tenerife Field Trip, March 2013. View a PowerPoint slideshow of photos provided by Uri Roll. 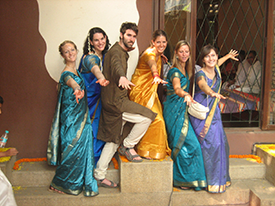 Lydia Cole, Marta Lang, Dan Gartner, Anne Christianson, Kate Brill, Sophie Persey in Bangalore, India, for Pavithra Ramani's (2007-08) wedding to her long-term boyfriend, Pete. 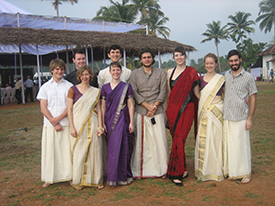 David Williams, Emma Burnett, John David, Rob St John, Marina Kipson, Julien Jreissati, Claudia Gray, Lydia Cole, Jared Margulies in Kochi, Kerala, India, for Tarsh Thekaekara's (2009-10) marriage to his long-term girlfriend, Shubhra. 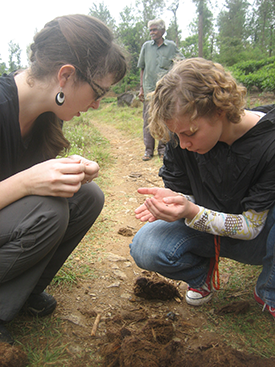 Claudia Gray and Emma Burnett examining elephant poo. 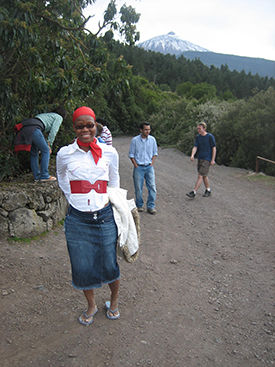 Tenerife field trip: Lebo Lebotse in her 'field-work' clothes! 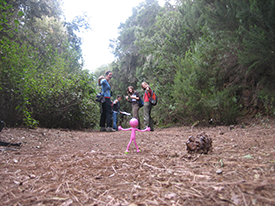 Tenerife field trip: The girls encouraging Pink Man, the class mascot, to keep up. 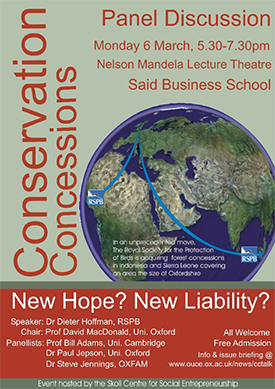 BCM students organise and promote a panel discussion on the new development of conservation concessions. 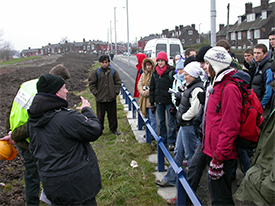 The first and last field trip to understand biodiversity conservation in the harsh post industrial landscapes of the Mersey belt. 30 mins after this photo was taken the bus windows were smashed by thieves! 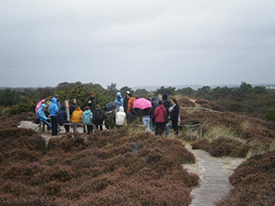 A group of BCMers take a minibus trip to Holland to make contact with Frans Vera. 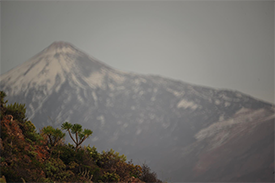 The rewilding debate commences! 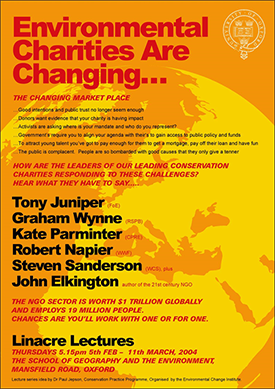 BCM team convene the Linacre Lecture Series on accountability of conservation NGOs.